Here at KW Law, our solicitors can handle many types of work, organised into partner-led departments. Quick responses, personal contact and good communications underpin our approach which is adapted to each client's separate needs and objectives to ensure quality of service. Our firm has three partners and a consultant who oversee the running of each department. Carol joined the firm in 1994 and became a partner in 1998. 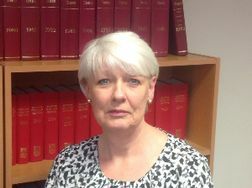 As the partner in charge of the firm's Conveyancing, Wills and Executries Department, Carol oversees all work in connection with the purchase and sale of property as well as Wills, Executries and Powers of Attorney. She has over thirty years of experience in those fields after graduating from Edinburgh University in 1984. Kirsty joined the firm in 2006 and thereafter became an associate in 2009 and a partner of the firm in 2011. Kirsty's range of expertise covers all aspects of family and child law, including permanence orders and adoption. She also oversees the day to day running of business in the family department. She is an experienced court practitioner having worked in West Lothian for a number of years. Kirsty is a member of the Family Law Association and is a Safeguarder. Deborah joined the firm in 2002 and progressed through various roles while undertaking her legal studies. Deborah qualified in 2013 and became an associate in 2015. She became a partner in April 2017. She is currently based at our branch office in Bathgate. Deborah deals with family and child law, including divorce, financial separation and contact and is a member of the Family Law Association. 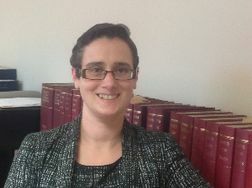 Gillian joined the firm in 2008 as a trainee solicitor. She qualified in 2010 and remained with the firm as an assistant solicitor before becoming an associate in 2017. Gillian is based at the firms Livingston office and deals primarily with family and child law, including contact and residence disputes, child protection issues and permanence applications. She is also a member of the Family Law Association. Valerie is a graduate of Aberdeen University and was admitted as a solicitor in 1985. She has extensive experience in private practice working mainly in the field of Family Law. Previously a partner, Valerie is now a consultant to the firm with responsibility for overseeing the civil litigation department. To speak with a member of our team, simply call us on the telephone number listed above or alternatively complete and submit the form on the contact page of this website and we will be happy to help.